Tarte Tartelette Toasted Palette – Review & Swatches! I bet a lot of you rolled your eyes thinking “Great! Another warm toned neutral palette. Like we haven’t seen that before!”. I am no expert here, but I bet the reason why there are constantly released warm neutral palettes is because in the end people buy and use a lot of warm neutral palettes…I am quilty! Just taking a quick glance at my own collection people actually own several warm neutral palettes (it’s not only me right?). So yeah, nothing groundbreaking and new, but it could still be good. I usually like Tarte eyeshadows so I decided I wanted to dive into this and see what it is all about! Let’s talk packaging first! I like it. It is sturdy metal packaging with gold detail and a glossy finish. It feels heavy, sturdy and high-end. It is very fond of collecting fingerprints though. The inside has a decent size mirror, reflective gold background, and the shadows smell like vanilla cookies. They smell exactly like the kind of cookies my grandmother served sometimes when I was a kid. Cookies I didn’t really like, but I was a kid and wanted sugar. 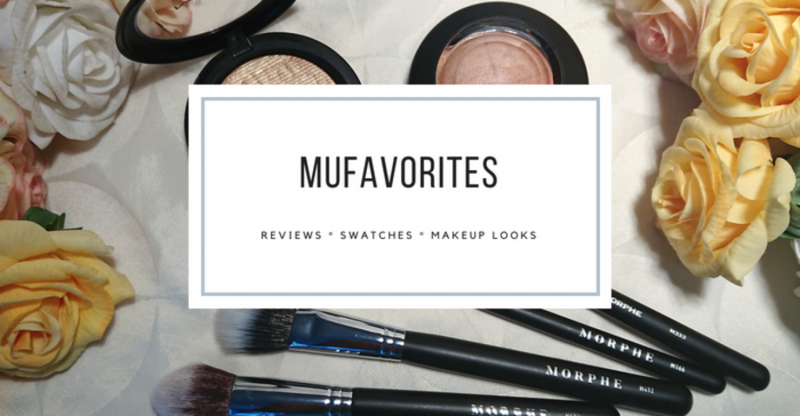 The overall impression of these eyeshadows are that they are quite similar to the formula I am used to from Tarte and what I have seen in Tarte Tartelette and Tarte Tarteis Pro. The mattes are a bit dusty, but nicely pigmented and blends easy. The metallics are rich and smooth, and the glitters are a bit chunky but I can deal with them. One thing I noticed is that this palette is quite dusty, so you go through the shadows pretty quick. Not any worse than say Modern Renaissance, but you get significantly less usage out of these that for example the more firmly pressed shadows in the Urban Decay Naked palettes. After using this palette around 10 times, the “Tarte” imprint in the lightest matte is all worn off, and the shadow has a considerable dent. Not too far from being panned. Fair enough this is the shadow I used to set my whole lid, but I did quite a bit of damage on some of the other shades as well. What I am saying is that if you use this palette every day it just wont last you very long. On a positive note this is probably a very motivating palette to pan since you will (sadly?) see progress between each use. You get the point, they are loosely pressed. S’more – Light matte beige. Nice to set the base on the whole lid. Quite powdery and gives a lot of kickback. Sunrise – Pale beige yellow with a pearl finish. Soft and blendable, and much less powdery than S’more. Sunset – Metallic copper. Opaque, smooth and almost like a cream finish. Very buttery. Crackle – Dark matte brown base with flecks of gold glitter. Looks nice in the pan, but the glitter almost disappear on the eyes, and the eyeshadow itself is a bit dusty and patchy. I found it to be a bit hard to work with and suspect it would have performed much better if the gold flecks had been left out. Cashmere – Light matte orange. Quite dusty in the pan, but very smooth and blendable on the lid. Warmth – Medium toned matte orange. Good pigmentation, but still dusty. A bit less so than the lighter shades. Flame – Dark warm red-toned copper with metallic finish. Rich in pigment and smooth to apply. Looks beautiful on the lids and apply very opaque. Cozy – Matte medium red-toned brown. Very pigmented and smooth, but still a bit dusty. Candle – Light champagne color with glitter. A bit dry and chunky. I got quite a bit of fallout with this, and found that it applied better with a damp brush. The glitter falls down on your face after some hours wear. Latte – Light matte brown. The same as the rest of the mattes. It is pigmented and easy to apply, but has lot of kickback in the pan. Simmer – Metallic warm copper with golden tones. Opaque pigmentation but not as smooth as Sunset and Flame. Fireside – Deep dark matte brown. Pigmented and easy to blend despite being a very dark matte. A bit powdery. If you have already tried out any of the other Tartelette palettes or maybe the Tarteist Pro and you enjoyed them, chances are you will enjoy this formula as well. They are nor perfection in my opinion, but pretty darn good still. I enjoyed them for sure even though, as I mentioned, there are a few drawbacks. If you do love the shades, but are not a big fan of the Tarte formula, I suggest you hold on a bit before purchasing, because I will be talking about a very similar palette soon! But for me personally, it was a hit! After all I have already featured it in one of my monthly favorites. The Balm Meet Matt(e) Hughes Liquid Lipstick – Review! This swatches very nicely. I debated getting this or the too faced just peachy palette and opted for the too faced palette. They both are warm eyeshadow palettes, I just didn’t care for shimmer at the time.